Winner! 2005 HMAA VIC Excellence Award - Significant Deluxe Accommodation. 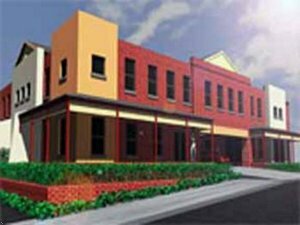 Ballarat's, newest contemporary accommodation located in the heart of the city. Comfort Inn and Suites City views offers beautifully appointed rooms featuring modern comforts including free cable T.V., free new release movie channels and wireless broadband Internet. Directly opposite cafes, restaurants, and shopping. Just a few minutes drive to all main attractions including Sovereign Hill. Relax and unwind, the City Views features an indoor heated pool/spa and sauna, individual corner and rectangular spas, remedial massage therapist by prior arrangement. AU Star Rating: 4.5 Front desk hours: 7:00am-9:00pm. If arriving outside of these hours, please contact hotel in advance to make arrangement. Children are charged as adults. CIS City Views is located in Curtis Street and is directly opposite McDonalds at Bakery Hill. Traveling from Melbourne along the Western Highway, take the first Ballarat exit. Continue 4 kilometers along main thoroughfare to large roundabout at McDonalds Bakery Hill. Continue to traffic lights and turn right onto Peel Street. Proceed 50 meters to next set of traffic lights and turn right onto Curtis Street. CIS City Views is approximately 50 meters from intersection on the left hand side.